Here are a few examples of WWII wartime ads featuring US tanks or tracked vehicles that we found while digging around the internet. Click on an image to enlarge. Click on the image to go to the flickr page. 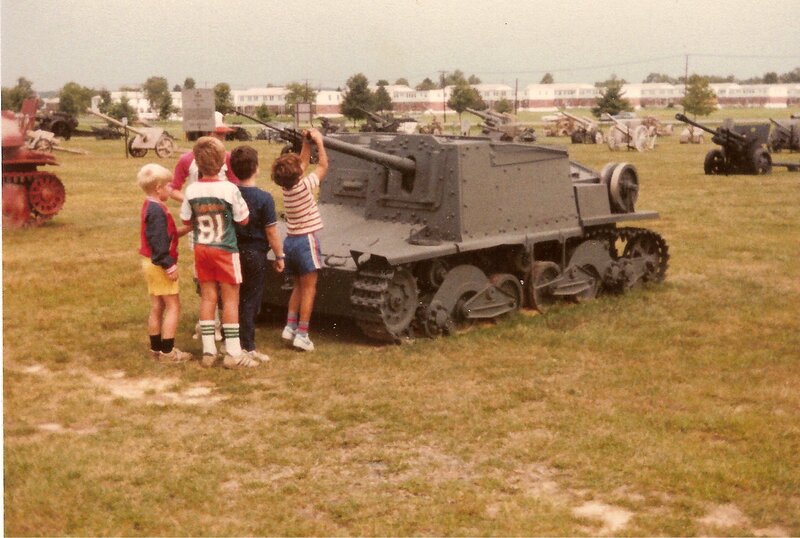 Today we present a photo gallery of the M551 Sheridan light tank on display outside the VFW hall in New Lothrop Michigan. These photos were taken in fall of 2013. 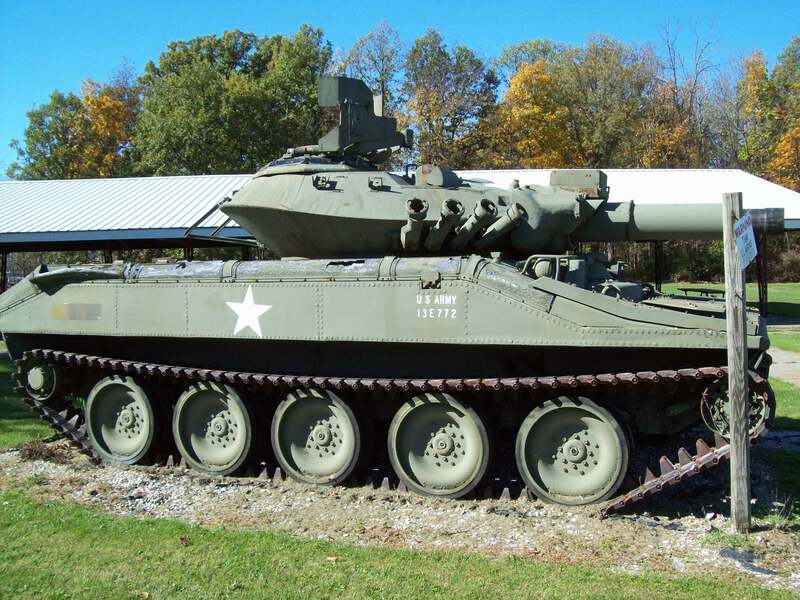 As far as we can determine, this is the only M551 on display in Michigan. 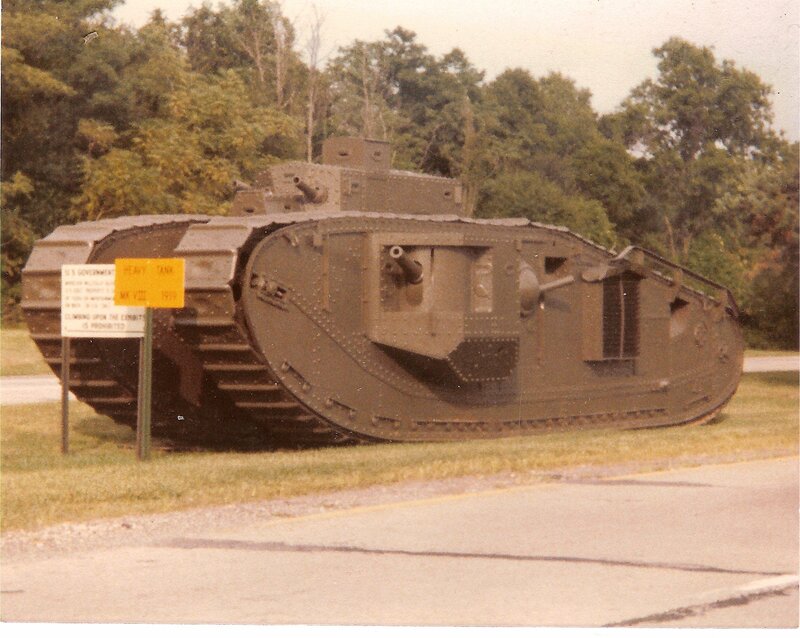 There are many Sheridan light tanks on display around the country, primarily in museums or on military bases. Several are on display outside of National Guard armories. Only a few serve as monuments outside VFW or American Legion halls such as this one in New Lothrop. For those interested in finding tanks on display near where they live, please consult the Historical AFV register homepage. 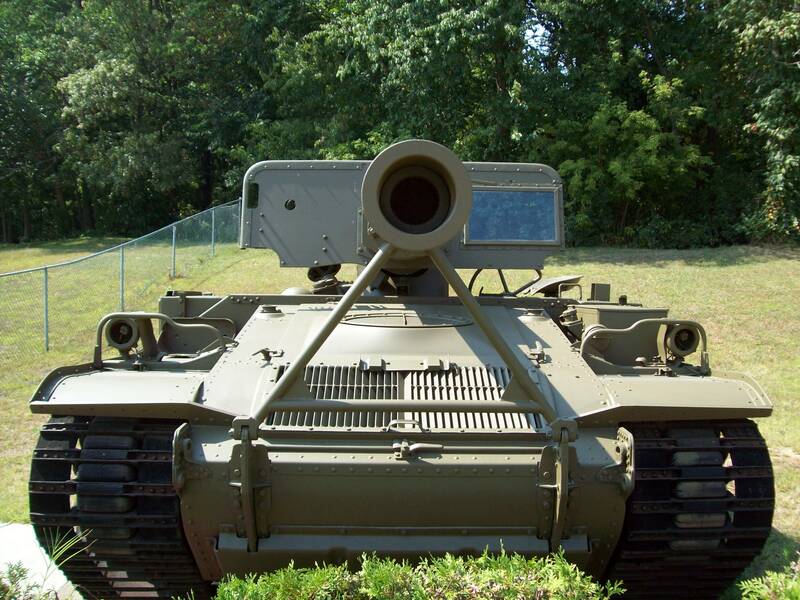 Here is a photo gallery of the M56 Scorpion that is on display at the VFW Hall in Marcellus Michigan. These photos were taken in mid 2013. The M56 was produced in relatively small numbers in the 1950s for use by US airborne forces. It saw limited use during the Vietnam war. Despite having not been produced in great numbers, quite a few M56 vehicles survive as static displays. The M56 Wikipedia page lists sixteen Scorpions on display, although the list does not include the Marcellus vehicle. 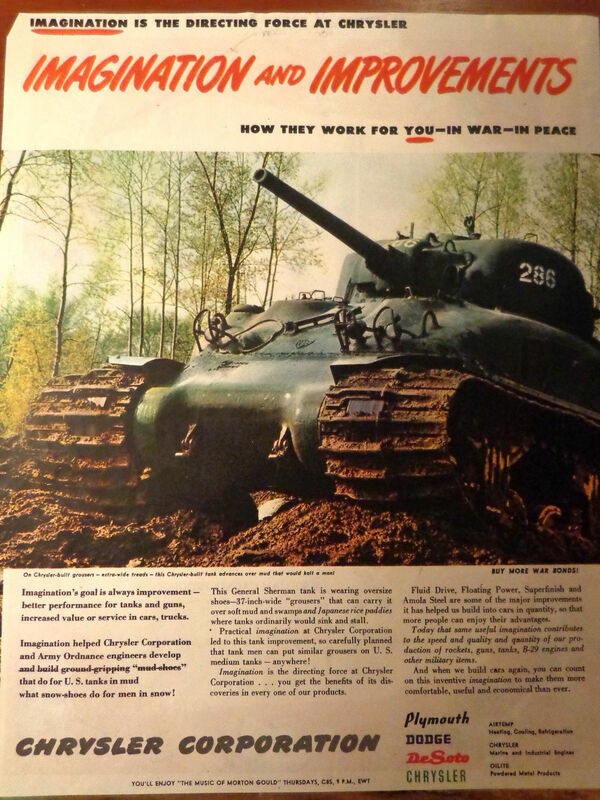 Here is a gallery of old magazine advertisements that feature tanks or armored vehicles. Most of these are from WWII and are ads for the company that makes components found in the vehicle. Image quality varies, but most of these are legible if people click on the image and enlarge it. All of the ads feature American vehicles except for one rather odd ad for an advertising firm which features a picture of a very early model Panzer III. A couple years ago I scanned a set of old photos I had of the vehicles at Aberdeen Proving Grounds and posted them on my old blog. I have moved them over here where they will be more accessible. While the quality of these pictures is not great, they do give an idea of how the vehicles were displayed circa 1981. I’m starting with the pictures from “Tank Boulevard” which was a long row of US vehicles set up chronologically along Maryland Boulevard as one entered the base.